I think the Carven ones might be my favorites! The delicate bow in the back is the perfect finishing touch. p.s. I'm also over at Mae's blog sharing some of my favorite earrings! Who doesn't love a pretty dangly earring to dress up an outfit? I have been obsessing over the loeffler randall pumps for months now! I have way too many pumps already but I feel like I might have to add some of these to my collection. GORG! Great picks Viv! I love those Zara platforms- such a reasonable price. I have my eyes on a pair of pink suede pumps from DSW and can't wait to go grab them after work! I NEED the Carven heels! So pretty + perfect! 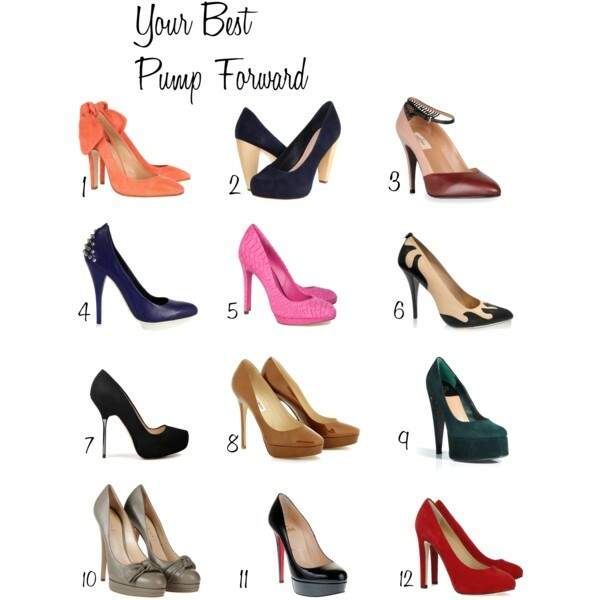 Adore all those beautiful pumps! Of course I've been drooling over Christian Louboutin shoes for hmm about 6 years now... and my momma promised me a pair when I start my first "REAL" job after college. So only 1 year left to go! Yipee! I have been lusting after those first ones with the bow on the back- they are just so fun! Great picks, my love. oo number one is beautiful, I am not usually a fan of "extra" things on a shoe, but those are perfect! I have to agree with you! I just love the thicker heel and color of the Carven pumps. #1 #5 and #12 please! I guess I likes me some warm tones right now. shoes! Shoes! Shoes! I love shoes! all these pairs are gorgoeus! The first one's my favorite! Love 'em all.. espesh the Loubs, obv! I love pumps, and I wear them all the time. The Carven ones are adorable, but the Loeffler Randalls have been on my want list for ages. #1!! I love orange AND the bow on the heel, lovessss! I love those pink pumps!!! So fun for spring/summer! I'm so into spikes right now! #4 is calling my name. Yes! to all of these! Heels can just brighten your day, I tell ya!